I have written extensively about the benefits of Mindfulness Meditation practice in various articles on my website. Perhaps you have read some of them, perhaps you have never gone there to have a look? Either way, I want to provide a reminder in this newsletter, to inspire your Mindfulness Meditation practice. The areas I address below are; mindfulness and peak performance, mindfulness and relationship quality, mindfulness and physical health, mindfulness and emotional reactivity, as well as mindfulness and mental health. And as you can see at the bottom, I also want to take the opportunity to invite you to the “Traditional Mindfulness Meditation” half-day course coming up shortly. To achieve peak performance, at work or at play, you obviously need to be fully present in the moment where/when you perform. But this can be difficult, since you are constantly bombarded with distractions from the surroundings. Emails, social media alerts, and text messages, all try to take your attention off the task at hand. So, not only do people mostly under-perform, but they also rarely give themselves the optimal circumstances for learning from their mistakes. In order to learn from your mistakes, you need to be present to what you are doing. You need to be fully aware of what is happening in your activities, and also of what the outcome is of each activity. For this to be at all possible, you need to be able to keep our attention in the present moment. But in general that is something people struggle to do. Apparently, Microsoft have established that the average attention span for a human being – certainly in front of a computer screen – is about 8 seconds! Shorter than that of a goldfish, in other words. Not a good starting point for peak performance. Human beings are so, so easily distracted. A study, reported in Science magazine a few years ago, found that people’s minds are wandering 47% of the time, rather than being focused on what they are doing. And if this wasn’t bad enough, the researchers also found that the more people’s minds wander, the less happy they are! Daydreaming about being happy is NOT the same as actually being happy! Mindfulness meditation practice is explicitly training your mind to be present in the moment, to maintain your attention on the task at hand, and hence to achieve peak performance. A study published in the Consciousness and Cognition journal, for example, found that meditators performed significantly better than non-meditators on all measures of attention. Mindfulness appears to be intimately linked to improvements of attentional functions and cognitive flexibility. Other than to achieve peak performance, benefits of Mindfulness Meditation practice also show up in many other areas of our lives. Two studies published in the Journal of Marital Family Therapy found that couples with higher mindfulness scores also showed higher scores for relationship satisfaction and greater capacity to respond constructively to relationship stress. They also demonstrated better communication quality in discussions. Even a short course in Mindfulness Meditation can have demonstrable effects on brain and immune function, as a study published in the Journal for Psychosomatic Medicine showed. Other studies, see articles on my website, have also demonstrated that Mindfulness practice decreases the risk of heart failure. A thorough research project published in Frontiers in Human Neuroscience involved functional MRI scans on subjects that were exposed to emotional triggers. 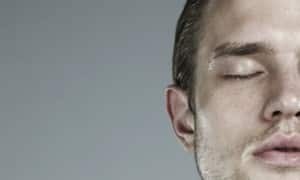 What they found was that even brief Mindfulness Meditation training can decrease the intensity of emotional reactions – not only while in a meditative state, but also in everyday life situations! There is an overwhelming number of research studies that have established the effectiveness of mindfulness meditation practice in helping people who struggle with mood disorders such as depression and anxiety. A preferable option to many, as it is no less effective than pharmaceutics and have no negative side-effects. Again, you can find several articles on this subject on my website. People learn mindfulness meditation for many different reasons. Perhaps none of the benefits of Mindfulness Meditation practice mentioned above are exciting enough for you, but what about better sleep, being in harmony in your day-to-day life, peace of mind? Would that be of interest to you? Of course it would! So, please, consider attending the half-day Traditional Mindfulness Meditation course in Brisbane on… the next Traditional Mindfulness Meditation course. This course has evolved out of 30 years of practice and research. It integrates profound traditional mindfulness meditation techniques into an easy-to-follow formula that anyone can learn and practise, to experience stillness of mind, joy, fulfilment and peace. The course is equally suited to beginners as to long-term meditators. If you have any comments to this article, I would love to read them. Please, submit your comments below! This article was first sent out as an issue of Authentic Living! – the newsletter for Integrating Awareness. Not all newsletters are reproduced on my website. To make sure you don’t miss out on something interesting, subscribe now – it’s free!